WordPress is no longer an average publishing platform. It can be used in many different and interesting ways. In fact, each day people are finding new ways to use WordPress. This freedom to extend the power of WordPress has made the web so much interesting. In this article, we will show you how to allow users to add drawing or doodles in WordPress comments and increase engagement. Randy Tayler, one of our users and the developer of the plugin DrawBlog, told us about his interesting plugin. DrawBlog allows your site’s visitors to not just leave comments, but create interesting drawings and add them with the comment. It is really as much fun as it sounds. Allows your site’s visitors to create images and add them with their comments. Visitors can also edit images from your post and add them with comments (this does NOT change the image in your post). It just creates a replica of the image from your post. It has some very basic drawing tools like a pen, color picker, eraser and reset button. First thing you need to do is install and activate the DrawBlog plugin. 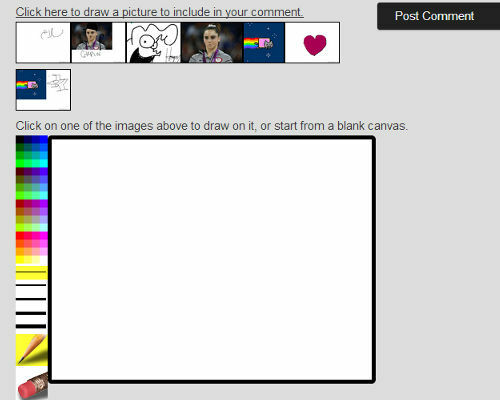 Once activated, go check your comment form and you will see DrawBlog in action on your website. Another thing that you should know about this plugin is that it currently does not support JetPack Comments, Disqus, or other third party commenting system. You can checkout the live demo of DrawBlog and play around with this tool. The live demo version has a few extra pen widths and more colors than free plugin but its pretty much the same. On the plugin settings page, you can set up size of the canvas. 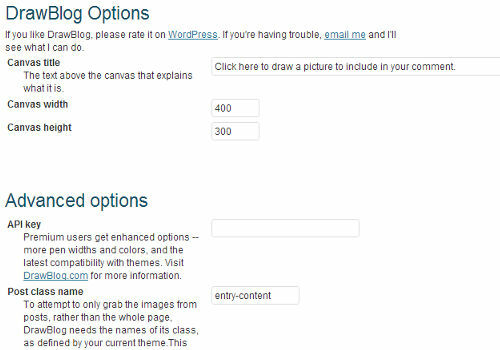 The default canvas size is 400px by 300px, but the images in your blog post can be larger. All larger images will be scaled down proportionally on the canvas. Apart from canvas size, another important option on the settings page is the Post class name. The default is entry-content which is used in all default WordPress themes and countless others as the standard. But if DrawBlog can not grab images from your posts for editing then you probably need to change this. What is great about this plugin is that it shows the fun things that can be done on a WordPress website. It also shows new users that even if they are publishing a simple blog, they can make it fun for the visitors by thinking outside the box and trying new things. This plugin can make some image based websites very fun and interactive. 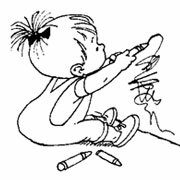 Like those publishing comics, funny drawings, cartoons, memes, or children’s websites. We are anxious to see how other people use this or similar tools in the future. What are your thoughts about DrawBlog? How do you see this being used? Will you use it on your own site? i LOVE this plug in but its needs one thing. An ON/OFF switch for each new comment page. I only want the draws on one comment post, as others have a more serious tone but there isn’t one. I have sent the developer a message but heard nothing. Can anyone help or fix it or update it?? Please?? Hi, do you know similar plugin like ‘doodle’ but not to add drawings to comments in sidebar or on front page?